After an interlude of unseemliness, high-level judicial elections in Wisconsin seem to have come home to our longstanding tradition of civility and non-partisanship. To at least some extent this is a reaction to the revulsion at the slide into the partisan election mode which features mass media attacks, big money campaigns, and advertising that is designed to deceive more than to inform. Although the coat holders in the press decry it, judicial elections are largely beauty contests where the voters get to choose the most qualified and fairest candidates. They are not and should not be slugfests on issues and wildly exaggerated promises. The campaigns seek endorsements from prominent members of the community like judges, lawyers, and law enforcement officials who are chosen to represent as many partisan sectors as possible and establish bi-partisanship as well. This is probably impossible, but worth trying. The stump speeches and campaign ads talk about credentials and readiness to perform the job without making any pre-judging promises of any kind on any subject or issue or person that may appear before them if elected. Partisan elections seek people with common interests. Judicial elections seek people who will make disinterested rulings on the facts and the law, who will come to the job with an open mind. A popular objection to judicial elections is when they are held and the numbers of voters they attract. They are held in the spring (which means campaigning in the winter) and they don’t attract flies. The commonly recommended remedy is to move them to the fall when the turnout is higher. This would mix two disparate kinds of elections, and it overlooks the desirable side effects of low-turnout elections. Low-turnout elections can be shoe leather and word-of-mouth based, where media is used for name identification and resume presentation not for scorched-earth attacks on opponents and implied promises to be strong on crime (does anybody ever claim to be weak on crime?) and to construe the law “strictly,” whatever that means. This kind of person-to-person campaigning tends to be polite and appeals to the intellect instead of the emotions. Another heartwarming development is that the recent winners have not been tempted to follow Judge Barbara Crabb’s wrongheaded suggestion that it is acceptable to become overtly partisan. This is good. Overt partisans are offering the kind of bias that attracts partisans and that is unwanted and unwarranted from the judiciary. Overt partisan candidates also do a dumb electoral thing. The non-partisan elections do not appeal to the yellow dogs of either persuasion perhaps, but to ignore the partisan tendencies of the more independent voters who make up this limited turnout is to limit your appeal. Half the voters lean one way or the other. So any candidate who makes an appeal to a Democrat or Republican constituency turns off at least half of the potential voters. 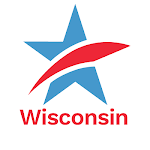 I, for one, accept the fact that an elected judiciary is in the genes of Wisconsin voters, like an elected judiciary for other reasons as well, and applaud the fact that those who have sought judicial office recently have done so in the judicial equivalent of going door to door, one-vote-at-a-time personal campaigning. Order in the courtTweet this!